It is becoming more and more common for the local authority and your building insurance underwriter and provider to require that your complete Sprinkler and Fire alarm system be certified by ULC Canada. It is important to understand that ULC approved equipment and security providers that do the work on your premise need to be qualifed to provide the services you may require. 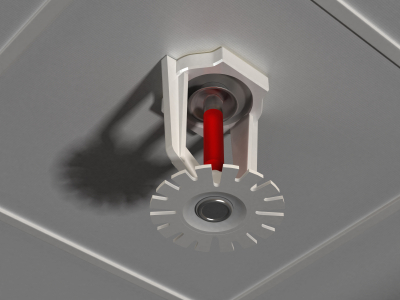 ULC certification gives assurance that the building sprinkler alarm system will be installed and maintained at the ULC standard that is required by Ontario Building Code and can be relied on by your insurance provider. As a bench mark of certification of the work being done right always seek a ULC listed provider.. For this type of monitoring service, you will need to seek out a provider that is also registered with ULC to perform such services. For many many years this type of solution involved DVAC monitoring services which were expensive and escalate every year due to Bell Canada standard increases. If your DVAC charges form your provider are becoming expensive, we have alternative solutions that can save you money and continue to provide you the level of service that your insurance company will require to maintain your insurance policy. Monitoring your sprinkler alarm system is one of the best investments you can make in your property. Did you know when a sprinkler system is in use and discharges water it can cause a lot of extra damage to a building and the contents. Monitoring can save the building from extensive flooding, and detect frozen pipe damage before hundreds of thousands of dollars are incurred due to unreported activations. In addition to emergency benefits, you will receive maintenance reminders for non critical attention needs such as low pressure and tampering events. Check with your Insurance provider today to determine if your building requires Fire alarm / Sprinkler alarm monitoring services. You can also check with the Ontario Building Code and review your legal requirements.